Saratoga Cotton Quarter-Zip Pullover will revive your warm-weather wardrobe with lightweight cotton comfort and classic good looks. 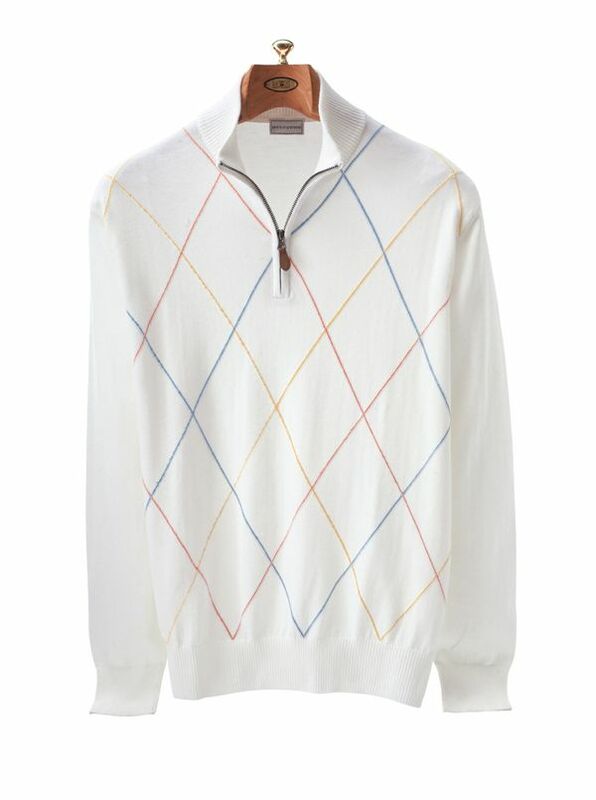 Knitted in Peru of 100% pima cotton with multicolor abstract argyle on white. Ribbed collar, cuffs and waist.